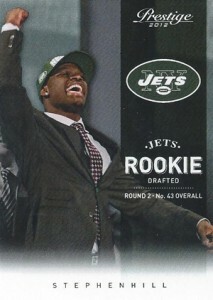 The first rookie cards of the 2012 NFL Draft class in their pro uniforms are here. 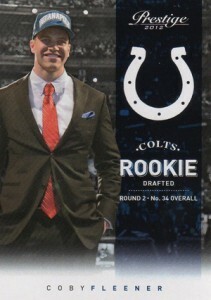 2012 Prestige Football is the first set on the market to show Andrew Luck in his Colts threads. 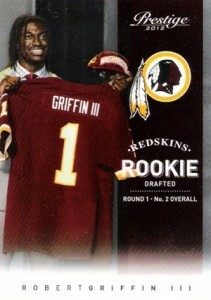 It has the first cards of Robert Griffin III wearing a Washington Redskins jersey. 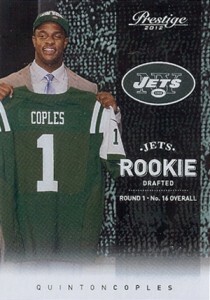 It's the same scenario for all 101 of the rookies in the set. 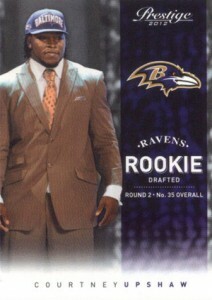 There is also a handful of 2012 Prestige Football rookie variations. 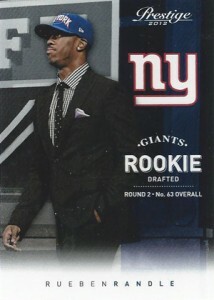 Shop for 2012 Prestige Football Rookie Variations on eBay. 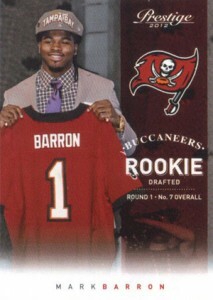 These 18 cards picture players at the draft, moments after being picked. They are an interesting time capsule. 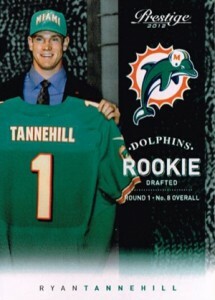 The pictures show something specific and important in the player's career. And as far as variations go, they're instantly recognizable. 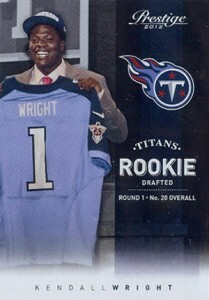 Regular rookie cards in 2012 Prestige Football show the player in their team uniform. They are involved in some sort of action shot. 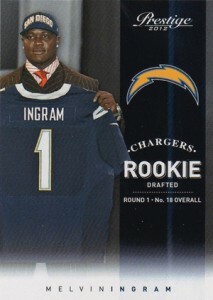 Inserted one per hobby box, 2012 Prestige Football rookie variations shouldn't be too difficult to come by. Prices should also be reasonable as well. 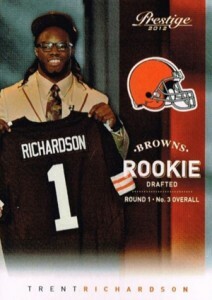 Among the checklist highlights are Luck, RG3, Trent Richardson, Justin Blackmon and Matt Kalil. 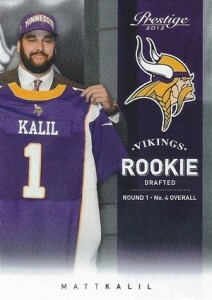 A total of 14 of the players with rookie variations also have autographed versions. 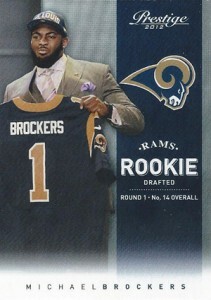 Below is a visual checklist for all 18 of the 2012 Prestige Football rookie variations. 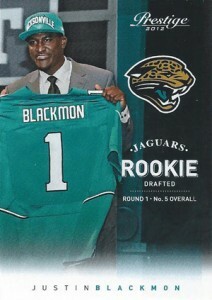 At the end, we have also listed the 14 players who also have autographed variations. 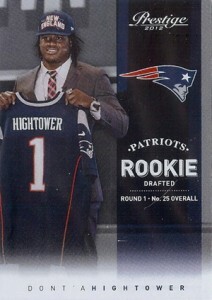 2012 Prestige Dont'a Hightower Auto SP Photo Variation RC Rookie Patriots PSA? 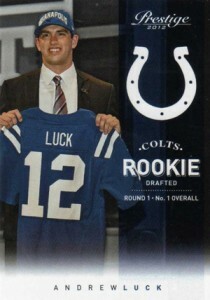 2012 Prestige Andrew Luck rookie auto Variation. BGS 9.0 Auto 10. RARE SSP. 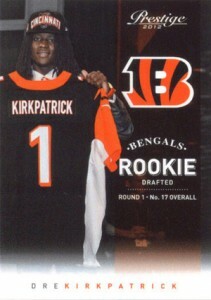 This variation card crap should end. If you are putting a set together it makes it extremely difficult to finish your set. 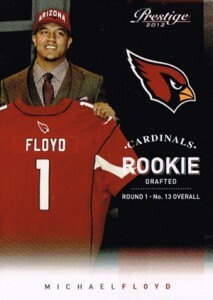 Just make another card for the set and label them both rookie cards for the player. 2012 Panini Prestige Football Factory Sealed Blaster Boxes 2-BOX LOT Luck RC?!?! 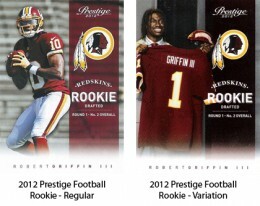 2012 Panini Prestige Football Hobby Box - LUCK + RGIII ?